Karnataka Election - 20,000 Fake Voter IDs, Voter Slips Found With Congress Candidate. A Fair Election??? 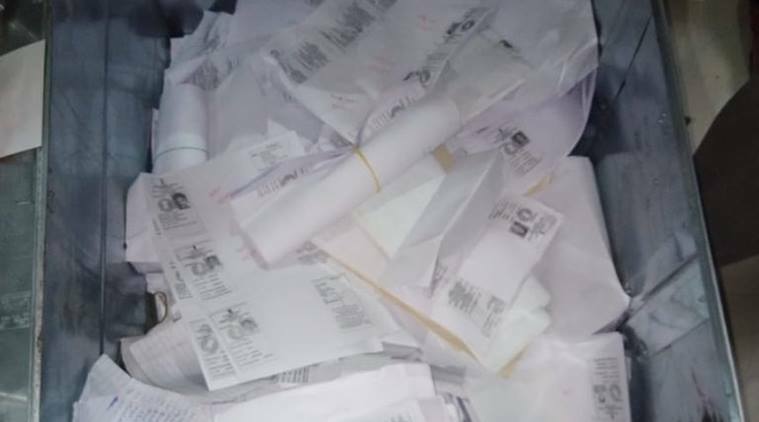 Karnataka Election – 20,000 Fake Voter IDs, Voter Slips Found With Congress Candidate. A Fair Election??? Per press reports, more than 20,000 Voter IDs with printing machines, fake cards with hologram, lamination machines, and computers were seized, were found in the flat allegedly associated with Congress candidate and sitting MLA Munirathna Naidu. Reports say these Voter IDs look genuine. I lakh voter slips were also found. The state election commision filed a report but it was not satisfactory so the central election commission is sending an observer to further assess. But some elected officials have said, if such games are played in 40-50 assembly constituencies then the election results would be settled. This is a VERY BIG DEAL and some key questions need to be answered quickly: who is doing it, how long is it going on, how did they get all the materials, could this be happening in many other assembly locatons both in Karnataka or elsewhere in the country, is there foreign funding (ISI, foreign NGO, etc.) and many more? FAIR ELECTIONS ARE THE FOUNDATION OF INDIA’S FUTURE.